Mature blueberry markets like the US and Europe are set face strengthening competition for supply as demand in Asia continues to grow, particularly during the January to February window when the Chilean season is at its peak. During a presentation on the key trends for the berry trade at the opening session of this year’s Global Berry Congress in Rotterdam, Mihai Ciobanu from Fresh4cast said with GDP growth stimulating consumption of fresh berries, Asia had now overtaken North America and Europe to become the world’s largest berry consumer. And while prices in Asia have levelled off somewhat in recent seasons, they remain significantly above levels seen in Europe and the US, making the Far East a more attractive market for Chilean exporters. 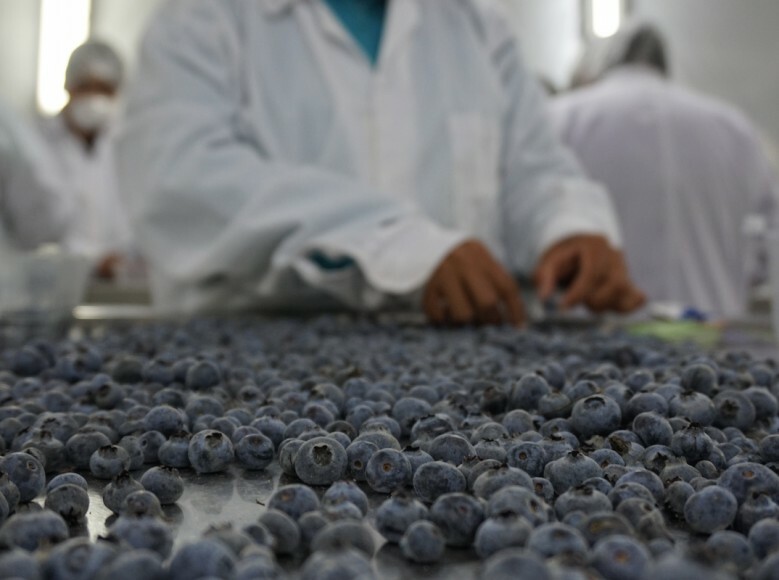 Although the US is the leading destination for Chilean blueberries, the market will face growing pressure for volumes from Asia in the years ahead and Chinese demand increases. At the same time, Ciobanu warned that markets would continue to face downward price pressure during the in-season, with a lack of differentiation amplifying the danger of commoditisation, particularly in mature markets. To counter this threat, he said producers should look for opportunities to differentiate their offer by investing in the best varieties and technologies. Ciobanu also warned producers against fragmentation, observing that markets where companies try to do their own thing rather than working together tended to grow at a slower pace. “We shouldn’t be arguing about our share of the pie, but rather the overall size of the pie,” he said.